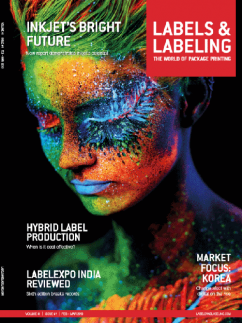 Executives from Asahi Photoproducts Europe look back at the development of the flexo label industry over the last 45 years, the company’s involvement, and look to the future. 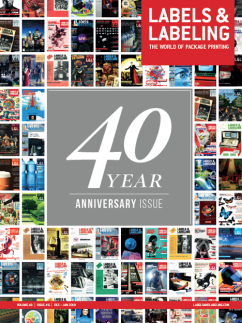 Dr David Galton, European sales director at Asahi Photoproducts Europe, comments: ‘Forty-five years is a long time, and much has changed. Forty-five years ago, the narrow web reel-to-reel market was dominated by two flexographic printing press manufacturers: Mark Andy and Webron. As the need for labels became more complex, other manufacturers, Nilpeter, Comco and the Canadian Primoflex Systems (CPS), started to emerge with novel design features. 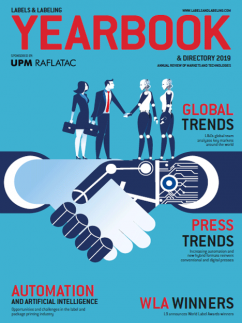 The rapid expansion of the label market combined with growing competition meant that better flexographic printing equipment was available, and by 1972 the first commercial four-color process printing was possible. Today, flexographic printing is competitive with both offset and gravure – and even with digital except for very short runs below 1,000 linear meters. Galton continues: ‘The introduction of the Apple Macintosh in 1984, the first mass market computer featuring a graphical user interface, built-in screen and mouse, had a revolutionary impact on pre-press for labels. And the Danish company Purup Electronics (Eskofot) followed in 1988 by bringing computer imaging systems to market that revolutionized the creation of label images and artwork. This set the stage for many other innovations that have driven the market forward, including the introduction at drupa 1995 by DuPont of the first flexographic computer-to-plate system. Today, computers play an integral role in everything from sparking the first design ideas to getting the final product on the shelf. ‘Forty-five years ago, cell counts did not exceed a maximum of 550 cells per linear inch. Many anilox rolls worked with ink film thicknesses of 4-7 microns. In 1990, an 800 lpi design with a 60o hexagon cell was developed by Harper and was a phenomenal success. This new cell pattern also helped reduce ink film thickness. This new roll could control ink film thicknesses to 0.5-1.5 microns and quickly became the industry standard. Cell patterns can now be etched at 30o, 40o, 60o, and recently random patterns are used, with cell counts reaching of up to 1,800 cells per inch. The development of photopolymer plate technology has been of equal importance, notes Galton. First coming to market in 1974 and based on free radical polymer chemistry that uses UV light to form 3D relief graphic images, these plates continue to undergo development advances, ‘that have been critical to the ability of flexographic printing to not only be competitive with other printing technologies, but to become the leading label production printing technology,’ notes Galton. ‘This is where Asahi’s more than 45 years of experience with innovation in polymers has truly come into play. ‘In 1982, we launched our AFP family of plates with specific benefits for labels. AFP plates are manufactured using Butadiene and Styrene to improve the malleability of the plate and the drape of the plate around small circumference cylinders. This solved plate lifting issues. AFP also was the first solid plate to have a wide exposure latitude which enabled solids and halftones with one main exposure. This was a major development in flexography. In 1985, Asahi invented the dry germicidal UVC lamp anti-tack process that eliminated the wet process by bromide. 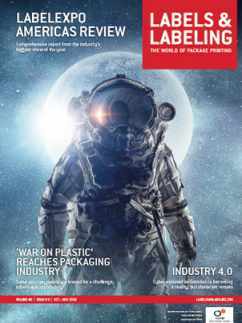 ‘Then in 2000, we began manufacturing the first aqueous plate technology for the label industry. Years later, this was combined with Clean Transfer Technology; the result was plates from Asahi Photoproducts that have been specifically engineered to transfer all remaining ink to the printed substrate. This is due to the plate’s lower surface energy. Clean Transfer Technology plates do not need to be cleaned as often as conventional digital solvent plates. Reduction of plate cleaning stops creates a significant productivity improvement. More specifically, it reduces ink filling, particularly important for mid-tone printing, and that means fewer press stops for plate cleaning as well as consistent printing quality over the entire production run. The result is significant improvement in printing press OEE. Unique Asahi engineering also facilitates kiss touch printing pressure. Lighter printing pressure ensures constant repeatability of printing quality during the production run as well as longer plate life. Asahi Photoproducts Europe is also to introduce a new AWP water-washable flexographic plate and a brand-new plate family, AFP BFT H and M.
Akihiro Kato, managing director at Asahi Photoproducts Europe, adds: ‘Looking ahead to 2019, we have more innovation coming, and we are excited to be in a position to help continue the forward progress in flexography.